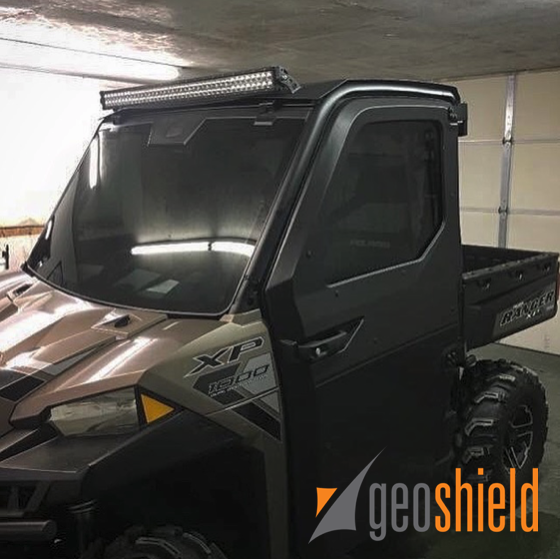 These Polaris Ranger vehicle are already extremely cool, but this one was made that much cooler by Tracey Abshire and the team at C & G Auto Tint in Lafayette, LA. This beauty has Geoshield Pro Classic Tint in a 35% on the front and a 20% on the back and sides. This film gives the Ranger the deep, non-shiny look the owner was after.